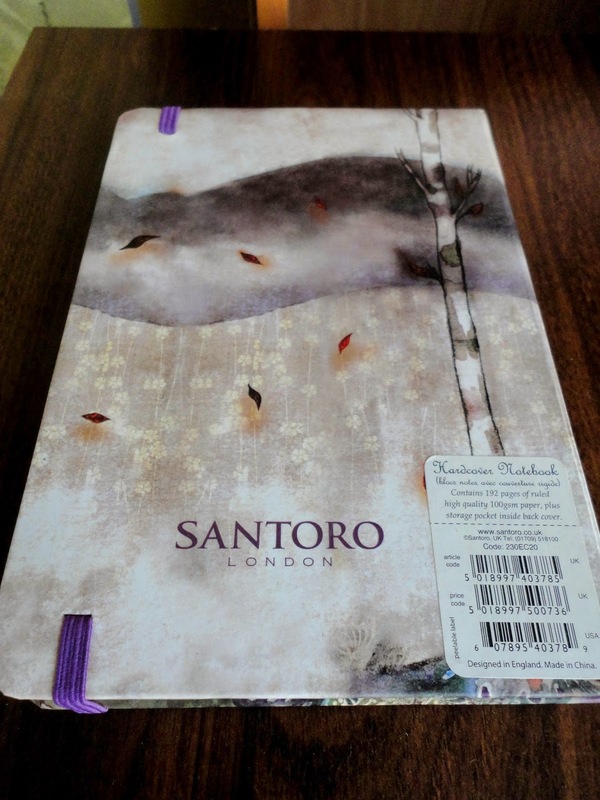 I recently contacted the lovely people at Santoro asking if they had an blogging opportunities as I had seen a few posts about their products. 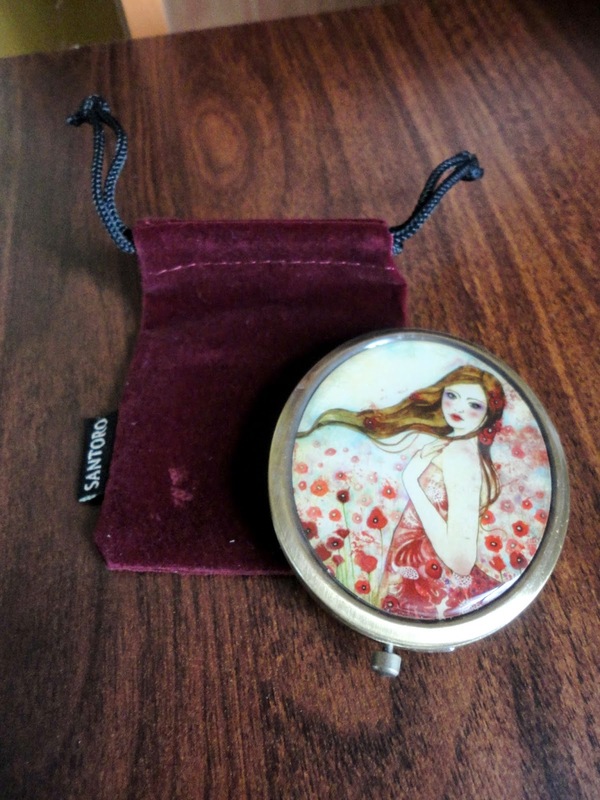 They quickly replies saying that they did and sent me out some beautiful pieces to review. I was so excited for my products to arrive and, to my glee, they soon arrived. And, let me tell you, I wasn't disappointed. They sent me the most beautiful little card telling me what they had sent. 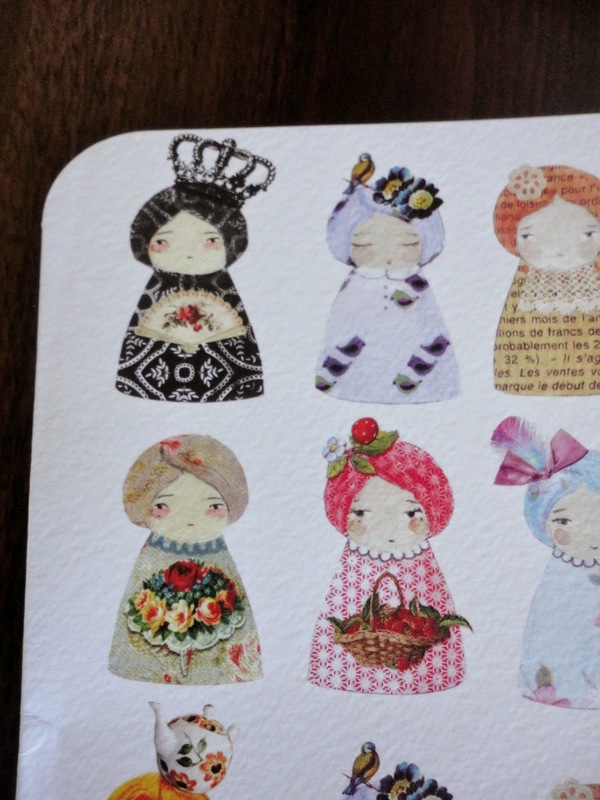 I thought the card was so pretty - I especially love the one that reminds me of Queen Victoria. I then couldn't contain my excitement. 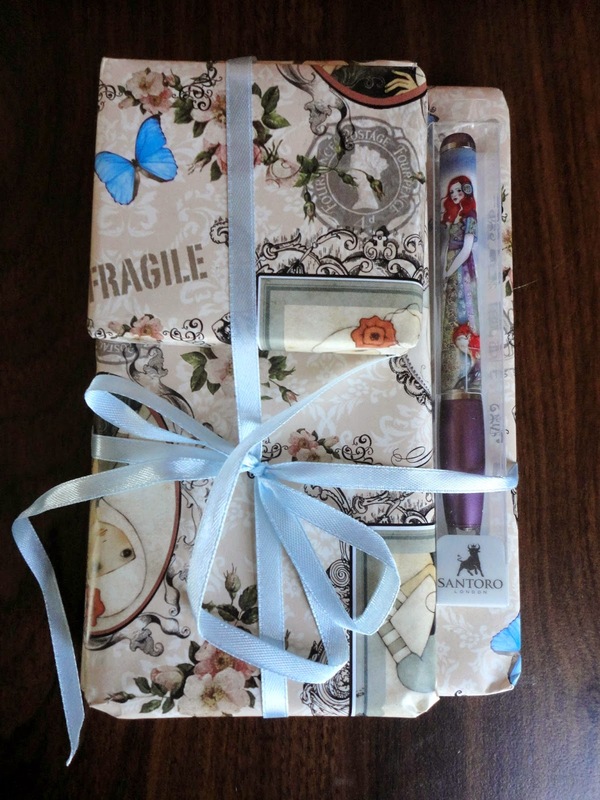 I began to unwrap everything in curious excitement and I was met with the most precious packaging ever. 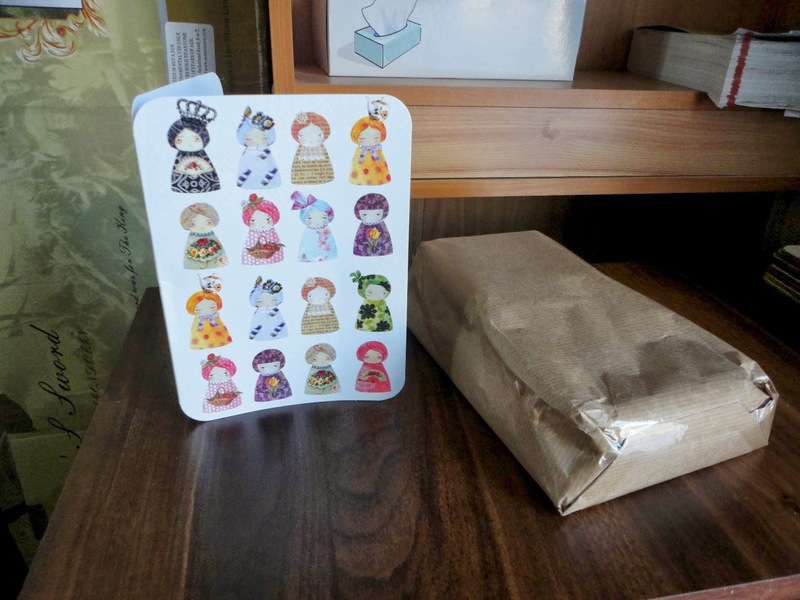 I felt bad unwrapping these little parcels as they were so prettily wrapped. I felt like it was my birthday as I unwrapped, juggling my camera and snapping along the way. 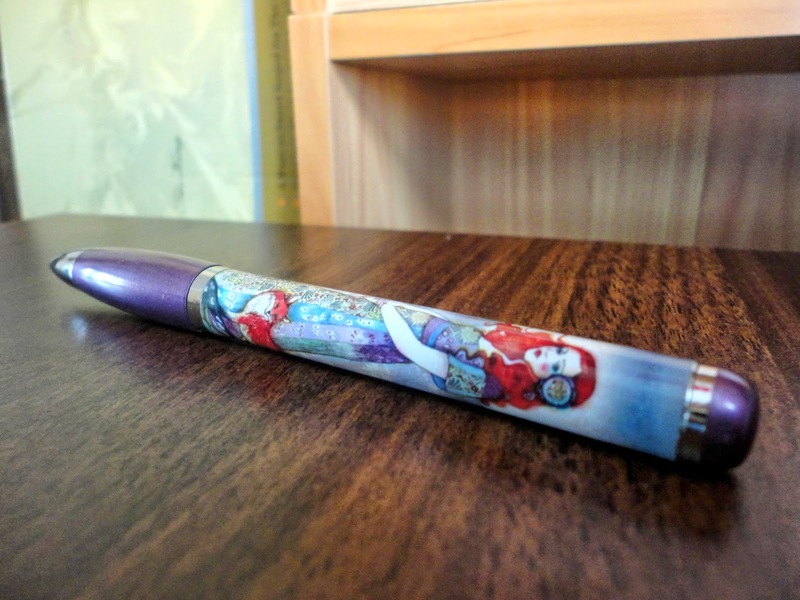 This pretty little pen was the first thing that I saw. It came in a little plastic box. 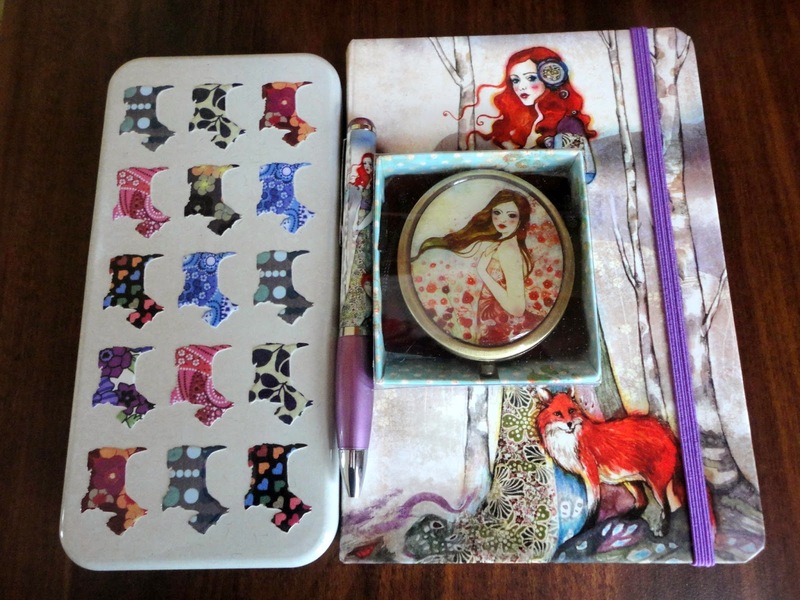 It is really nice quality and matches the notebook. 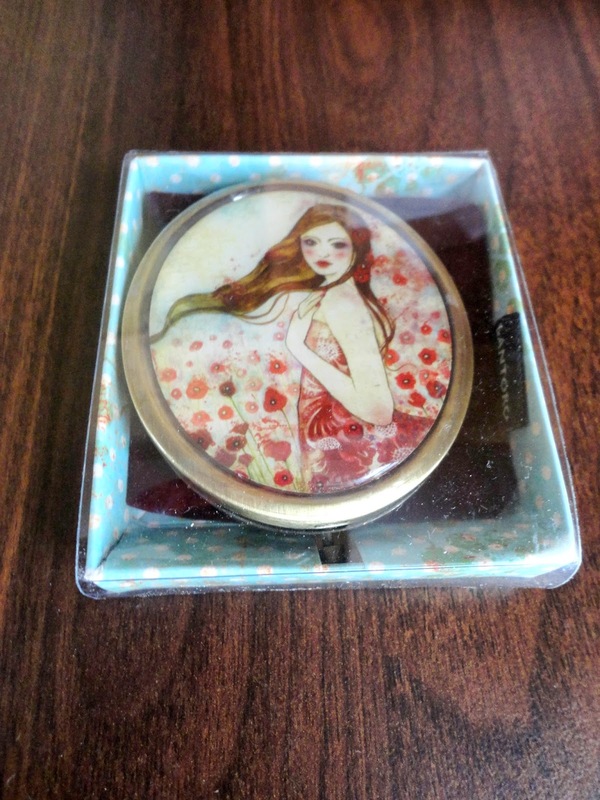 I then opened this lovely pocket mirror. 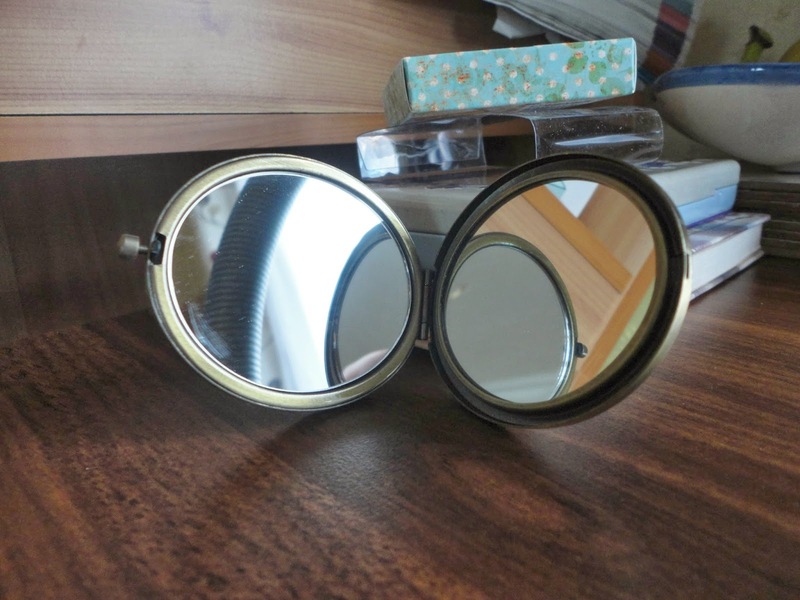 I had been needing a little mirror for so long and this one is so nice. It has the brand name engraved on the back with the company logo and comes with a little red velvet pouch. 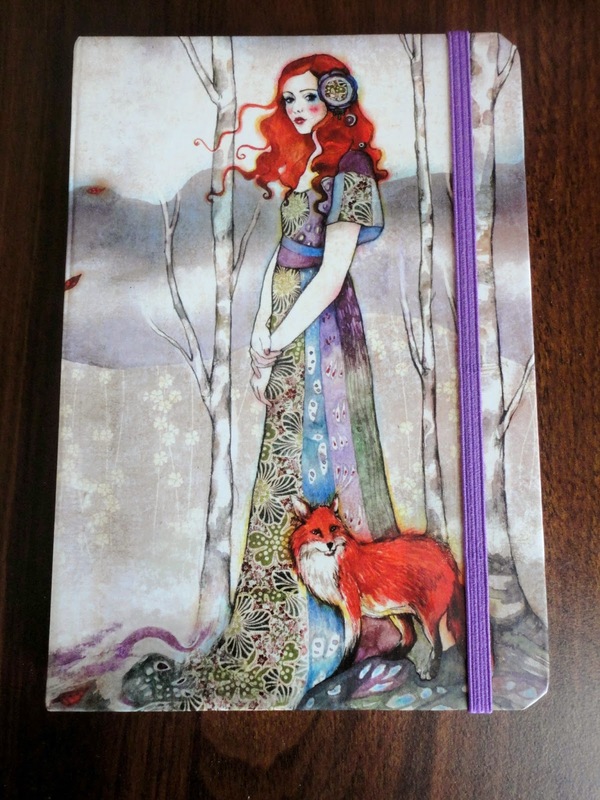 Then I saw this gorgeous notebook and fell in love. 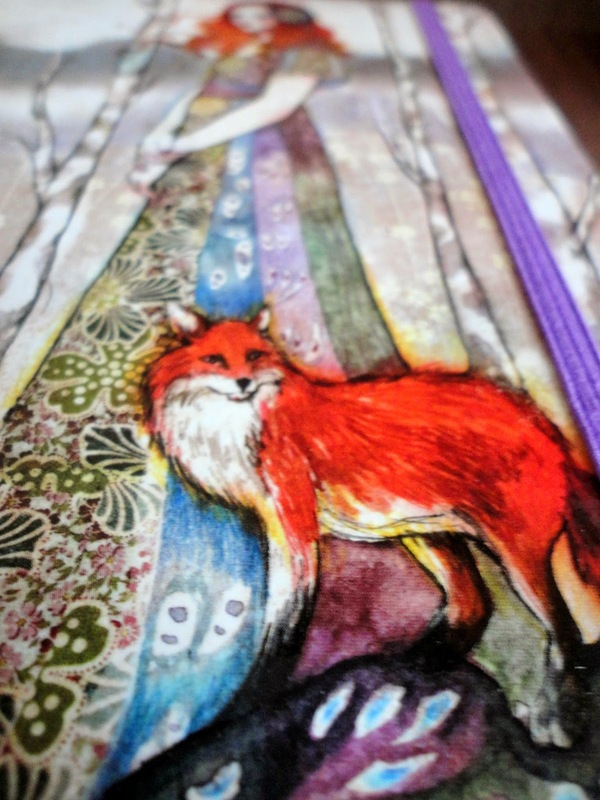 I am a big fan of foxes (but don't tell my village) and I love the moody tones mixed with the bright orange. The paper is really nice quality and I look forward to writing in this. 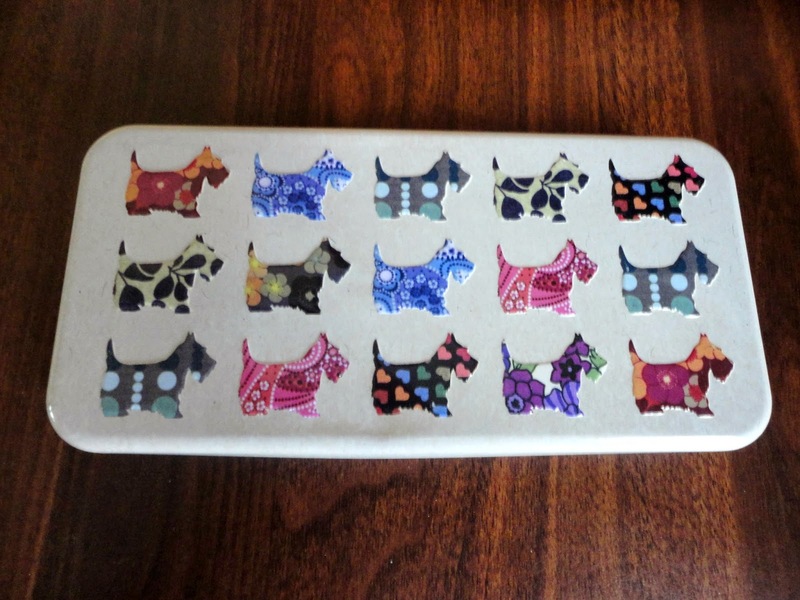 The final item is this adorable Scottie dog pencil tin. You may know of my love of tins and, if you do, you will be able to guess how happy I am to have such a pretty little tin. 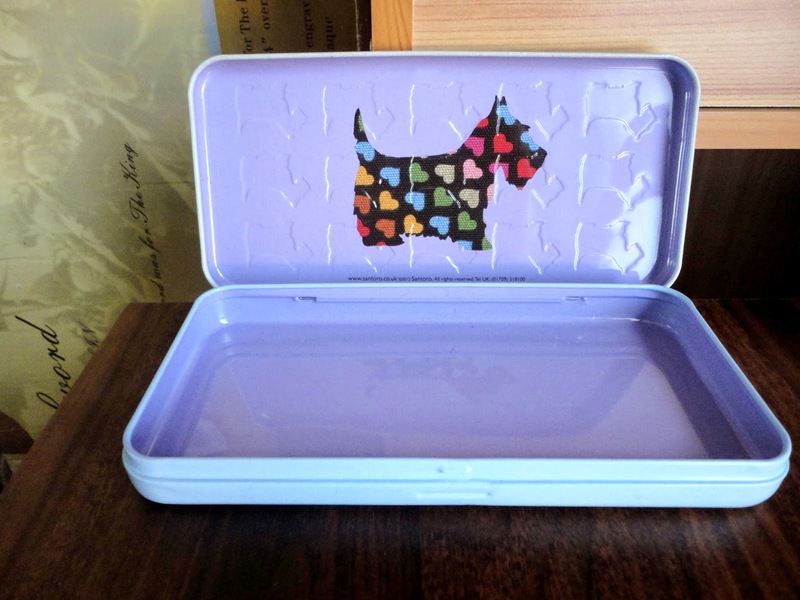 It is just perfect and reminds me pencil tins from Primary School and going back after summer with all your new stationary. Overall I would say this is a quality company that make the most adorable little items and their website is really worth a look at. Gorgeous!!! You can't beat a splash of stationary, and these pieces are particularly lovely! 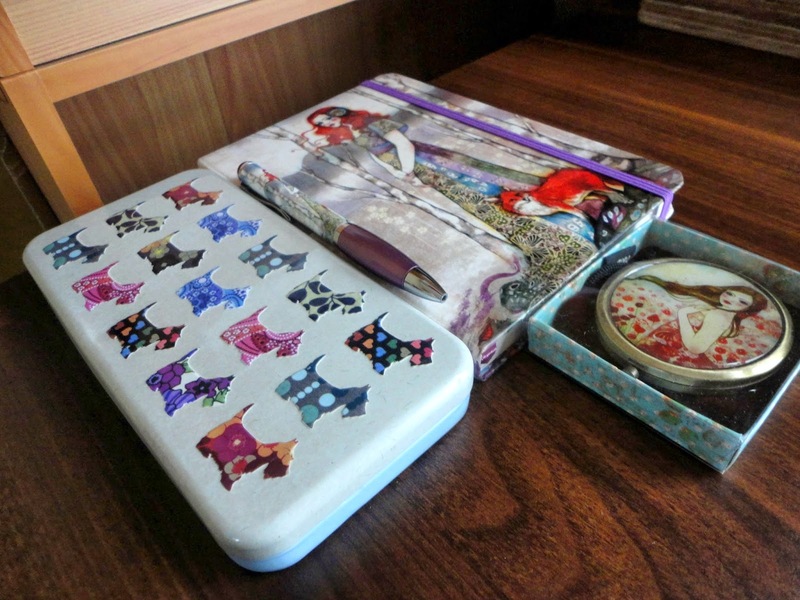 What a lovely thing to do, they see, like such a nice and thoughtful brand, that pencil tin is unbelievably cute! I just discovered your blog and I love it! I'm not familiar with Sweet London, but judging by this cute post I'll definitely have to check it out. Definitely following for more! How pretty are these designs! Lovely!